Passing under the iconic arches flanking the entrance of the Bedford Playhouse, Home of the Clive Davis Arts Center, one is instantly transported to the era of old Hollywood glamour. From the old fashioned box office that greets guests to Paul Shaffer’s grand piano from the set of “The Late Show” with David Letterman gracing the foyer, it’s evident that the Playhouse boasts a rich history. 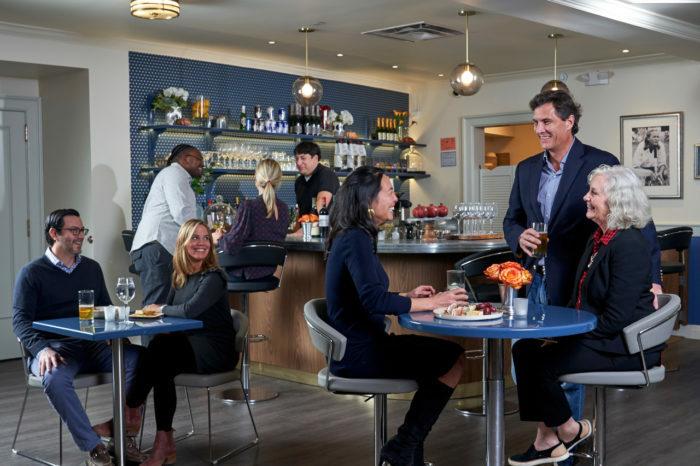 The meticulous detail, however, beguiles the fact that it’s been mere months since the grand reopening of this cultural hub that’s now emerging as a bright star after a questionable future. To make this vision a reality, the team began working fervently, assembling a group of advisors. 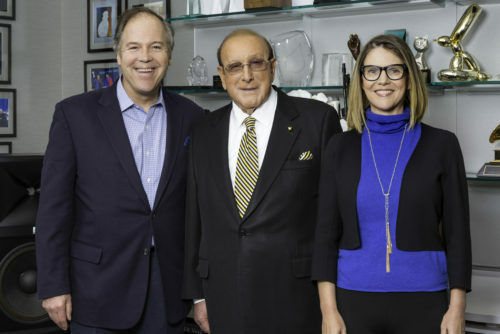 “We consulted with the absolute best,” according to Hearon, “from designers to architects to state-of-the-art technology teams to ensure that no detail was overlooked.” Amongst this exclusive team of advisors is local resident and music industry legend, Clive Davis. Hearon explains the icon’s role, “When Mr. Davis learned about what we were doing, he wanted to get involved both personally and philanthropically. He identified with the need to bring arts and culture back to the community. His decades of incredible experience and connections have been instrumental.” Davis’ contributions were so impactful that the Playhouse thanked him by designating the Clive Davis Art Center as its partner entity, an honor prominently reflected on the building’s façade. 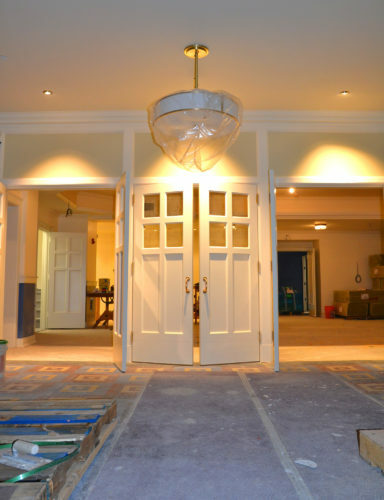 The grand opening of the Bedford Playhouse revealed an opulent interior depicting the perfect marriage of old and new. The theaters feature sumptuous, buttery-soft leather seating with trays for food and drink, vintage film posters and waterfall curtains, complemented by state-of-the art Dolby Atmos surround sound technology. “Our doors opened on September 30th, featured three days of fun-filled programming and culminated in a party with guests including Clive Davis and Paul Shaffer. We’ve been chugging along ever since,” Hearon proudly announces. “Our programming incorporates a hybrid strategy of arts and film that touch topics that are captivating the community’s interest like the “Me Too” movement or politics–we’re not going to shy away from controversial issues,” says Hearon, further explaining, “We have a really exciting footprint where we take a movie and add a unique component to it.” One space in particular has been designed with flexible furniture to accommodate everything from a themed cocktail event to author reading event discussion to a children’s birthday party. A series of unique events have already taken place. The Playhouse screened Always at the Carlyle, accompanied by a Q&A with the film’s directors complete with a cocktail event that recreated the hotel’s legendary Bemelmans Bar. Mary Poppins Returns featured a “Supercalifragilisticexpialidocious” Spelling Bee and costumed Mary Poppins offering spoons full of sugar up and down the aisles. Martha Stewart hosted a private event in the wine tasting room, while Glenn Close headlined a sneak preview screening of the Oscar-nominated film, The Wife, complete with a Q&A event and cocktail party; former head writer of SNL Alan Zwibel held a Q&A and a screening of Love Gilda. And, there’s no sign of the momentum slowing. In the coming months, the Playhouse is set to offer a special screening of 2001: A Space Odyssey, a Q&A with the David Boies, the subject of the documentary, The Case Against 8, and a comedy show starring comedian Robert Klein. More than 80 hours of witness interviews, conducted by Lawrence L. Langer, one of the world’s foremost authorities on Holocaust testimonies were locked in a metal closet for decades and have never been seen by the general public. Now they have been finally thrust into the spotlight with the documentary film Soul Witness, The Brookline Holocaust Witness Project. 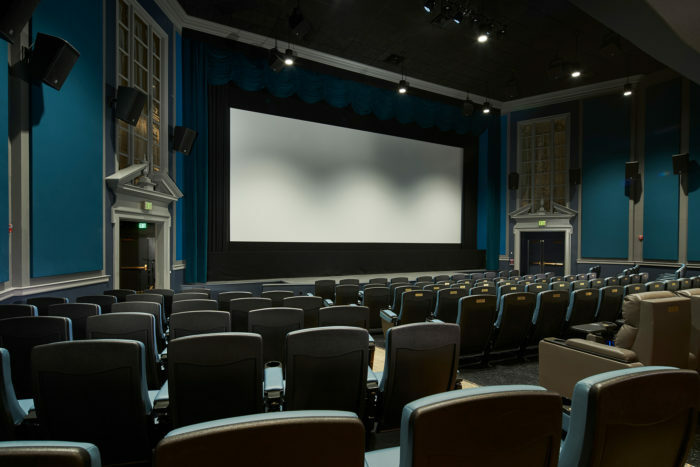 In 2017, The film sold-out the 432 seat Coolidge Corner Theatre’s main playhouse within a few days of the release of its trailer and has sold out several screenings in the Great Boston area since. A special screening of the film will be shown at the Bedford Playhouse on Thursday, November 1, 2018 at 7 p.m. The Bedford Playhouse, Home of the Clive Davis Art Center, is a recently renovated state-of-the-art film, arts and cultural center. 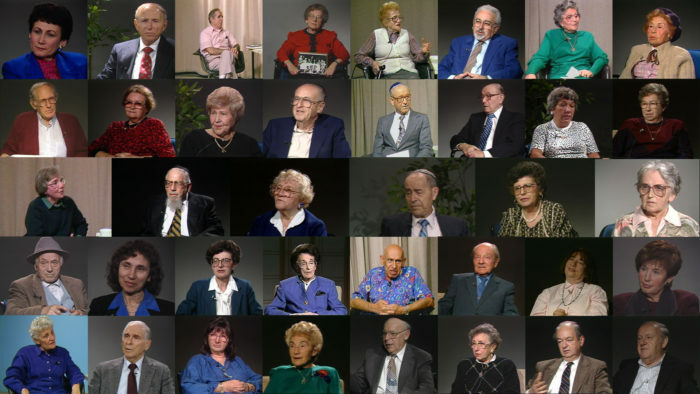 The documentary features a collection of interviews of Holocaust survivors, conducted in the early 1990s. Witnesses describe their lives before the war, growing intolerance; their lives during the war and the affect their experiences still had on them at the time of the interviews. Some of these witnesses survived death camps, some hid, others fought in resistance movements and many saved the lives of others. Following the film, there will be a question and answer period with the film’s writer, director and producer R. Harvey Bravman. It is intended for a general audience with an advisory for children under 13. More information on the film can be found at https://soulwitness.org. The third annual Bedford 2020 Greenlight Award Finals on May 1st will feature high school contestants with big green ideas at the newly restored Bedford Playhouse in Bedford Village. “This is an exciting opportunity to see our future environmental leaders in action,” said Midge Iorio, Executive Director of Bedford 2020. Several teams from Horace Greeley High School have advanced to the Finals and will present their projects before the judges and audience. The Greeley STOP Club worked on an anti-idling campaign, another student installed a kiosk where people can take or leave reusable bags, and a third team tapped into people’s interest in donating to charity to improve recycling habits. The eight teams of Finalists were selected from 19 initial teams from Fox Lane, Horace Greeley, Somers, Harvey, John Jay, and Rye Country Day high schools. Finalists received up to $1000 in seed funding and worked with community experts to develop and carry out their big green ideas. At the Finals, the teams will show how they worked with stakeholders, created and carried out a strategy, catalyzed behavior change, and measured their results. The most impactful project will win the Greenlight Award and a $500 cash prize. The presentations will be scored by judges Kitley Covill, Westchester County Legislator, Dale Akinla of Morgan Stanley, and Caela Murphy of the Endeavor Foundation. The 2017-2018 Greenlight Award is sponsored by PepsiCo. The Greenlight Award Finals will take place on Tuesday, May 1st at 6:30pm at the Bedford Playhouse, 633 Old Post Rd, Bedford, NY. Bedford 2020 is a non-profit organization leading a community-wide effort to reduce greenhouse gas emissions and to create a sustainable community that conserves natural resources. More information is available at www.Bedford2020.org. Bedford Playhouse announced today that legendary music producer Clive Davis has pledged substantial support towards the capital campaign that is funding the transformation of the space into a vibrant, state of the art cultural center. The gift will establish the Clive Davis Arts Center at Bedford Playhouse. Within the Playhouse, the Davis Center will encompass all the arts programming offered beyond film, including music performances, theater, art exhibits, and stand-up comedy. The Center will receive prominent exposure, both inside and outside the theater. A new, recently approved exterior sign outside the theater will read: “Bedford Playhouse, home of Clive Davis Arts Center”. In light of the building’s historic significance, the existing sign will be restored and moved up higher on the front façade of the building. The Playhouse plans a partial opening later this Spring. This will involve operating just the downstairs portion of the new facility, including the main theater and concessions, for weekends only. Assuming the Playhouse completes its seat naming effort for the main theater over the next several months, the full opening is projected for later this year.